The Reserve Bank of India’s Monetary Policy Committee has reduced short term lending rate (repo rate) by 25 basis points to 6% under its third bi-monthly policy review in the financial year 2017-18. The decision is consistent with RBI’s neutral stance of monetary policy in consonance with the objective of achieving the medium-term inflation target of 4% within a band of +/- 2%, while supporting growth. The Kishanganga hydroelectric power project on the banks of tributaries of Jhelum and Chenab have been approved by the World Bank with certain restrictions under the Indus Water Treaty 1960. IWT has given Pakistan full control over these western rivers for unrestricted use. Besides, it also allows India to construct hydroelectric power facilities on these rivers along with other uses, subject to constraints specified in annexures to the treaty. Due differences over these projects, Pakistan had asked World Bank to facilitate the setting up of a Court of Arbitration to look into its concerns. On the other hand, India had asked for the appointment of a neutral expert to look into the issues, citing that concerns raised by Pakistan were “technical” ones. 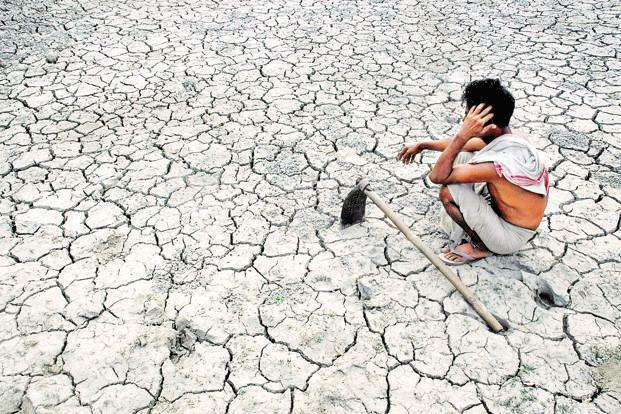 Climate change may have led to over 59,000 farmer suicides over the last 30 years in India according to a University of California report. Government’s Union Ministry of Electronics and Information Technology has constituted a 10-member committee headed by (retd.) Justice B.N. Srikrishna to identify key data protection issues. It also suggested a Draft Data Protection Bill to address the same issues. The Union Government has launched e-Rashtriya Kisan Agri Mandi (e-RaKAM) portal to provide a platform for farmers to sell agricultural produce. e-RaKAM is a first of its kind initiative that leverages technology to connect farmers from the smallest villages to the biggest markets of the world through internet. Parliament has passed the Right of Children to Free and Compulsory Education (Amendment) Bill, 2017 amending the Right of Children to Free and Compulsory Education Act (RTE), 2009 by extending the deadline for teachers to acquire the prescribed minimum qualifications for appointment. The Rajya Sabha approved it and Lok Sabha had passed it earlier. India and Somalia have signed an agreement for transfer of sentenced prisoners in each other’s country. The agreement was signed in New Delhi during the ongoing visit of the Somalia’s Foreign Minister to India. The agreement opens a new front for collaboration in anti-piracy operation in Eastern Africa which also surfaced in the meeting. The incidents of piracy originating from Somalia have affected Indian interests in the Indian Ocean region near the Horn of Africa. What is the new repo rate or the short term lending rate as set by the RBI recently? Which disputed hydroelectric power project's construction has recently been approved by the World Bank? Which university recently reported that almost 59,000 farmers committed suicide due to rising temperatures? Who is heading the government's 10-member committee to identify key data protection issues? Which country did India enter into an agreement with for the exchange of sentenced prisoners? Thank you. Do you have month wise compilation of GK quizes?